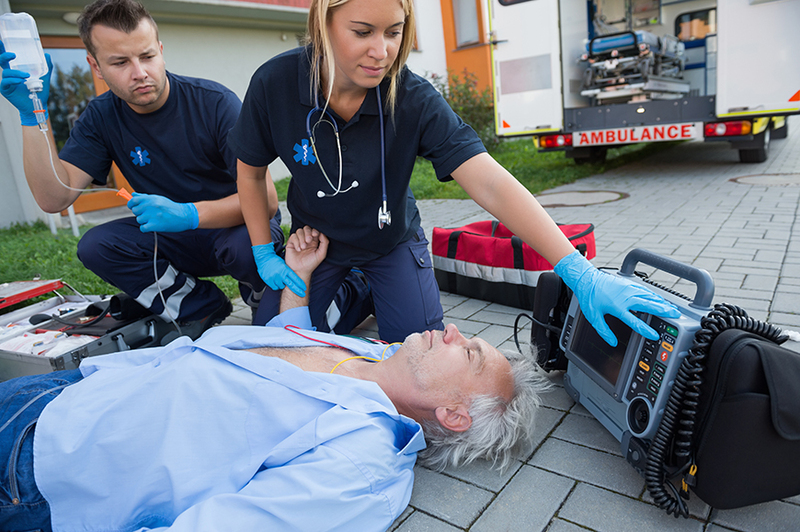 While most injuries to paramedics and EMTs are related to overexertion and falls, nearly 10% are transportation-related, and a significant number involve assaults, reports the Department of Labor (DOL) Bureau of Labor Statistics in one study. During the study period, of the 59 fatalities that occurred among these first responders in both private industry and the public sector, 86% were transportation-related and 8% were assaults. In light of these dangers, 2 The Rescue has created courses designed to increase the safety and enhance the on-the-job effectiveness of paramedics and EMTs. Exceeding the standards of classes that were previously available to Michigan’s emergency medical services personnel, these courses are approved for State of Michigan EMS Continuing Education credits and Michigan State 911 Committee Dispatcher Training Funds. A combination of classroom learnings and hands-on training, this 2 The Rescue course helps first-responders learn the legal requirements for scene control according to the Manual on Uniform Traffic Control Devices (MUTCD), OSHA and DOT regulations and how to protect themselves and their patients while on scene. No one can realistically expect to eliminate the potential for workplace violence. These events continue to occur with increasing regularity and severity. However, with training to recognize the indicators and preparation to react appropriately, any company or organization can minimize the devastation from these tragedies. Conflict occurs when the beliefs or actions of one or more members of a group are resisted by others. Of course, the violence that can result from such conflict is a concern for any business or organization. This advanced driver’s training program from 2 The Rescue adheres to your organization’s practices as it meets or exceeds legal statutes of the State of Michigan and recommendations by VFIS. The course’s training methods are designed to change your vehicle operator attitudes and modify driving behaviors in non-emergency and emergency operations to help ensure safe, legal and efficient responses in all situations. Through “boots on the ground” experiences, 2 The Rescue provides first responders a clear picture of why their profession can lead to destructive habits and unhealthy lifestyles. We will demonstrate how the inability to manage the cumulative stress from daily exposures to adrenaline and trauma can negatively affect the responder’s safety, decision-making and ability to remain ethically solid. An advanced “behind-the-wheel” course on vehicle operations, this class from 2 The Rescue demonstrates vehicle dynamics and accident avoidance techniques at low speeds and with minimal wear-and-tear on vehicles. This is not a vehicle-handling familiarization or “around-the-cones” course but one that covers driving techniques that most first responders have not experienced previously. Participants learn (or refresh) skills that can avoid accidents, prevent injuries and save lives while minimizing or eliminating vehicle damage. Call us today at 616-262-8455 to speak directly to 2 The Rescue co-owner Mike Wierenga, or fill in the form below for a fast response. I'm interested in having you speak at my conference. To reduce tragedies by presenting affordable, convenient and passionate educational programs that increase awareness, modify behavior and change the attitudes of the civilian and public safety community. Enter your email address and we’ll keep you posted on practical, actionable tips you can use each day as well as updates on new 2 The Rescue course offerings.